As you read this, I will have just traveled by plane for approximately 24 hours with my 7 month old for a best friend’s wedding. 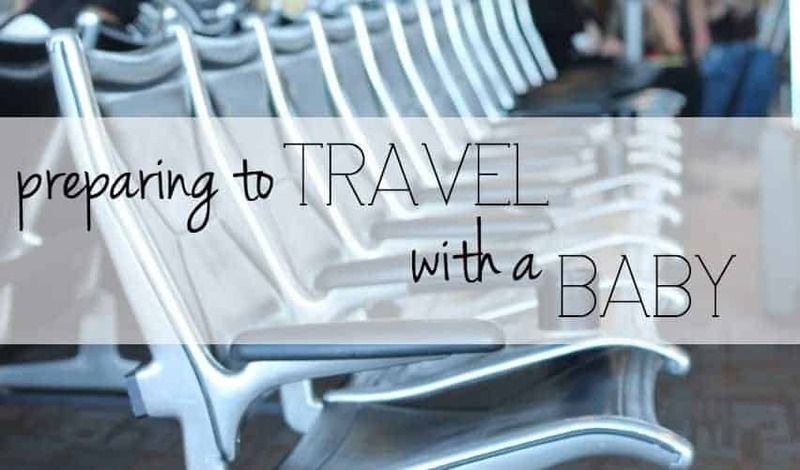 I’ve traveled on numerous long trips with all my children when they were babies, and it is nowhere near as stressful as you think. Honestly. And this from someone who absolutely will stress if there’s any temptation. My post on how to handle toddlers and babies with jetlag is my most popular post. I think it’s because when you have a baby with jet lag, the first thing you do is Google “how do I handle a baby with jetlag?” I’m going to give you some tips and thoughts to help mentally and physically prepare you and your bundle for a trip. It is much easier to travel with a baby than a toddler, so I’ll leave those tips for another time. 1. Keep the baby well-rested the week before. If your baby starts the trip well-rested you’ll be in good shape. Unless of course they have an ear infection in which case, drink a lot of champagne and let the flight attendants walk the aisles with your baby. They often volunteer and nobody will know who the baby belongs to. But seriously, if they begin a long stressful trip well-rested, you are already set up for success. In the week prior don’t deviate from the routine or schedule at all, if possible, and if they are teething or sick, attempt every soothing method possible so they will be over this before the trip. Travelling often makes a healthy person sick, so traveling with a sick baby should be avoided if possible. 2. Organize your diaper and travel bag well. I’ve written on travelling organised before. When you are going to be holding a baby and scooting past others in tight cramped quarters, you don’t want to be reaching in the overhead compartment to get the diapers and under the seat to get the wipes. Same with a car, you don’t want everything in random places. You want to be able to grab the baby, grab a bag, and change the diaper with ease. I like to keep a bag (even within the larger diaper bag) with the baby’s food and spoons together. The better organized you are the less stressed you feel. And believe me, you’ll start sweating with stress because quarters are cramped and people who don’t have children are nervous yours will scream. There is only so much room available. 3. Forget about your schedule until you arrive. I love routine and schedules. I can keep our schedule consistent within minutes without even looking at the clock. I am that time conscious. So, when I say that during travel you need to forget about your precious schedule, know I don’t say it lightly. There is immense stress that comes from thinking you are permanently screwing up your schedule. Longer than three hours for a feed and he’ll starve! Awake three-hour when he’s only usually awake 1.5 hours, he’ll never sleep again! I am not a go with the flow person, on the whole, but while travelling it is honestly the best way to go. If they appear hungry, feed them. When they wear out and fall asleep on your lap, let them stay. If they don’t want to sleep and all lights are on and you are trying to shove them in the bassinet while they scream, stop it. They can be well-rested on a different routine than normal and that’s okay. It will go back to normal upon arrival. I promise. 4. Bring a pacifier, lollipop or a body part. If you’re flying then take-off and landing change the ears equilibrium due to pressure. This is why your ears start popping. If you breastfeed, then try to feed during these times to help the baby’s ears adjust. A pacifier, bottle or thumb (and gum for you) would have a similar effect. Often my babies have fallen asleep during these times because airplanes have a similar effect to a car. Don’t fight it. 5. Start slow upon arrival. When you get to where you’re going, don’t throw them back into their normal schedule immediately. Shoot for getting there generally. The major goal when accounting for travel is that you let your child be well-rested. If they are off their normal schedule, but well-rested then you’ve done enough. If they go to bed and sleep longer during the morning nap time, let them do it and recover a bit. If they need to be put down later in the afternoon because of it, fine, let them do that too. Push back bedtime a little? Fine. This will not last forever. It will not make them defiant towards a schedule. It is simply an adjustment period in which you want your baby to remain rested. Once they’re recovered you’ll probably find you are naturally back on your schedule, anyway. I love traveling and love bringing my babies along. We’ve gone on long overseas trip and – unless someone gets sick – it is generally not as bad as you think. Mentally prepare in advance, keep your baby well-rested, and enjoy yourself. 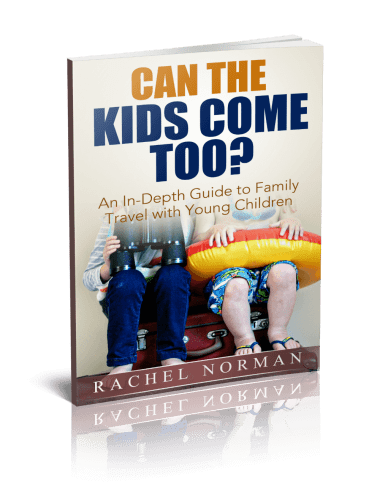 Check out my in-depth ebook that has all you want to know about traveling with kids by car or plane, from hotels to self-catering accommodation, to renting baby equipment, eating free, and what apps to get right now for only $5! Firstly we need to be prepared mentally for traveling with babies. Think positive but stay safe. Collect some baby safety equipments like a traveling stroller. It will support your baby a lot during travel. Besides make a routine of your travel activities.